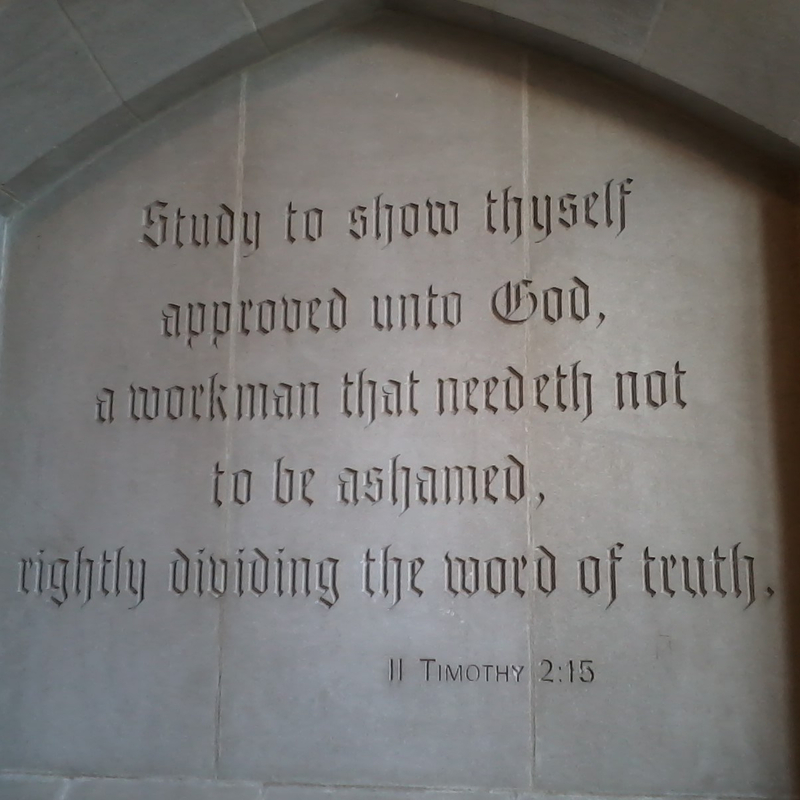 We now have arrived in our study at the place of Christian work life. To get to the very beginning, this is a part of what we discussed previously of reckoning the ourselves dead indeed unto sin, but alive unto God through Jesus Christ our Lord (Romans 6:11). The “professional life” of both employees and employers is spelled out simply, yet broadly enough to encompass all. Now there are some things that we know in this world we live in. All things being equal, all things are not equal. Some have worked their way to “the top” and have become “masters according to the flesh”. Some have through several good turns of events found themselves in the position of “masters”, and some have made it to this place by inheritance. We also know it to be true, conversely, that some through the family or the conditions that they were born into became “servants”, or maybe even fell into servitude (forced, a.k.a. slavery, or indentured), or are simply as we now call “working class”. The Bible, and especially Paul’s epistles to the body of Christ, are clear as to the way that servants are to regard those that they work for. They also make clear the way that “masters” should regard their servants. This truth is just as applicable to employees and employers. It is even true for independent contractors, or freelancers, who are not on the official company employee roster. When we are hired for a job, we take the place of the servant, and it becomes our responsibility to look and work for the good of our employer. In the days of state sanctioned slavery, a slave had no personal rights. They became the property of their owner, and in some cases did not even have right to life. They were another class of person not counted among the citizenry. Now, wouldn’t God want us all to be free from servitude to men so that we could be fully devoted to Him? We can be fully devoted servants to the Lord Jesus Christ right in the place where we are. Conditions do not need to change for us to be fully used by Him. What we make the salvation-bringing grace of God look like is what the unbelieving employer/master sees. Think of men like Joseph and Daniel in the Old Testament books who were in the place of lowly servitude, lower than the low, but even in this stood head and shoulders above all of their peers, even to the place of being above all others around them, whether slave or free. These both obtained this place of honor because they were faithful to God and their place of service. In this, it should go without saying that we do not do the wrong things that our “despots” require, but even in refusal, it should be respectful refusal, as Daniel refused to give up worshipping of the One True God because of the King’s decree. Now some would rip that out of context and say it is speaking about making sure that we apply every word in the 4 Gospels to ourselves without first understanding the primary purpose of the Lord’s words recorded there. The context, however, makes it clear that these are the words that were just spoken by the apostle concerning the servant’s obedience and attitude. This is about the commands that Paul gave to Timothy to pass on to his flock, and that the servants that he is speaking to who argued against the command were not arguing with Timothy, or Paul, but with the Lord Himself. Why would God not want us to speak up often about mistreatment? But I have to do so much, it is just not fair! The Lord will use faithful service to earthly employers for His glory. As a faithful employee, we have a good Lord in heaven Who will reward faithfully all service to Him in all things. Our service on earth is to THE Lord, Christ. We are reminded that there is no respect of persons with Him, which should make us rejoice as servants, but also sober us to remember WHO we work for and that there is no respect of persons in our favor either. Earthly “masters” may reward their servants with respect of persons (nepotism, tec.) but not our Lord. He rewards fairly. He also rewards those in high earthly positions without respect of persons. In the next study, we will look together at how a “master” who is in Christ should conduct himself, reckoning himself dead indeed unto sin, but alive unto God through Jesus Christ our Lord. To be in this place of service to Christ and to learn to be content in whatever position we may find ourselves in (Philippians 4:11–13), we must first be named and known by Him. He has promised all that He will count them in the company of the elect if they will accept His offer of justification by grace. It is available to all. It is given to all that will place their faith in His death for them and believe on Him Who raised Him from the dead. It really is that simple. Because Christ died for our sins, we can all be made righteous by Him. He is all that we need, but we do need Him!